With 3 separate sections, our Arrington bag lets you divide and conquer the clean, the dirty and the questionable. Genius! Twelve pockets inside and out – including insulated side bottle pockets and a padded electronics pocket – means there’s a perfect spot for everything. 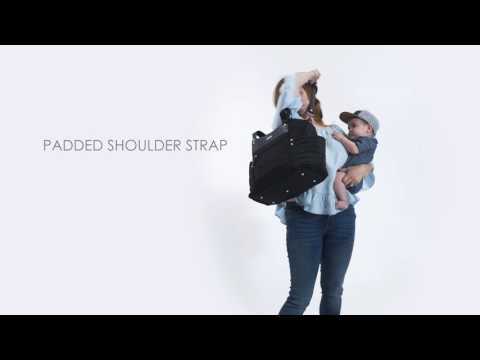 Equipped for your on-the-go lifestyle, a coordinating changing pad, padded shoulder strap and no-slip grips™ stroller attachments are all included. With the Arrington bag, fashion meets function.